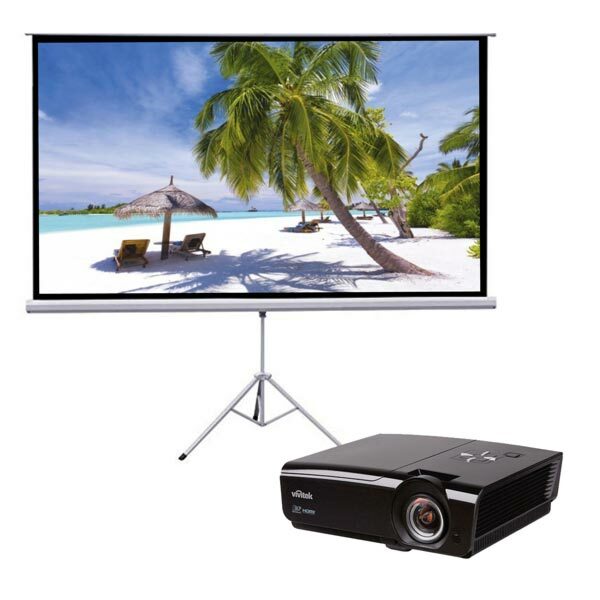 Suitable for most company presentation scenarios, you will find this projector hire package lightweight and easy to set up. When you make your enquiry, ask for the 6ft ($130 GST inc), or the 8ft ($150 GST inc) retractable projector screen. Will fit in in most standard sedans, or if you like we can drop off and set up for a small fee. Make an enquiry below!